Book Marmaris to Rhodes Ferry Tickets online. Rhodes is just 45 minutes from Marmaris on a fast catamaran. One can easily plan a visit to Rhodes and reach back Marmaris the same day! Select any one of the three types of ferry tickets and book with us online for your Marmaris Rhodes ferry tickets. 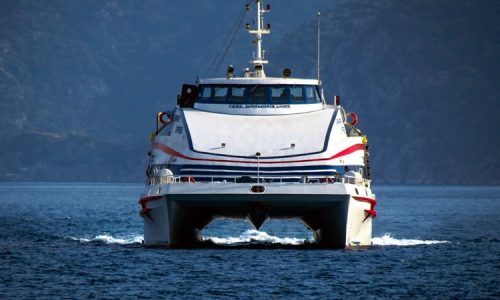 Fast catamarans and Ferryboats move everyday between Marmaris and Rhodes. One can check the schedule with us and book the date most convenient with you. Make sure that you carry a valid visa and passport before booking for this tour. 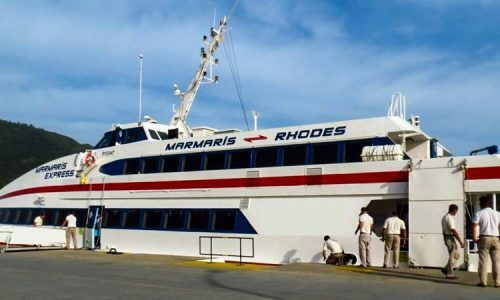 Booking for Marmaris Rhodes Ferry Tickets online is an easy option. Just log on to our website, check the ferry schedule and book at your convenient time. You don’t have to pay anything at the time of booking. 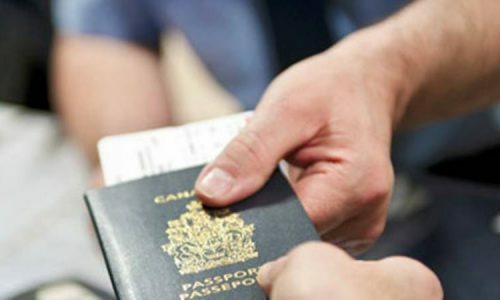 We can collect the passport and visa details, and the tour price while you arrive here. Once you book our Marmaris Rhodes Day Tour online, you’ll receive the tour ticket via e-mail instantly. This confirms your booking with us and you can check with every tour details printed on the back of the ticket. There are three types of ferry tickets: One way, Same day return and Open return tickets. You can choose to book for the tickets as per your need. The fast catamarans are comfortable, safe and fastest means of transit between Marmaris and Rhodes. Our Marmaris Rhodes Day Tour is inclusive of hotel transfer services. We offer free pick up and drop back services to a place nearest to your place of stay. Our free hotel transfers are done in our most comfortable and well-kept vehicles. This is one of the greatest advantages when you book our services online. You never have to waste your time and energy standing in long queues to buy tickets. We arrange to hand over your tickets on your arrival and you can be on the go in style! Book our services online and you’ll receive an instant confirmation mail along with the tour voucher. The tour voucher is the confirmation of your tour booking with us. The tour voucher has every details of the tour program printed on the backside.